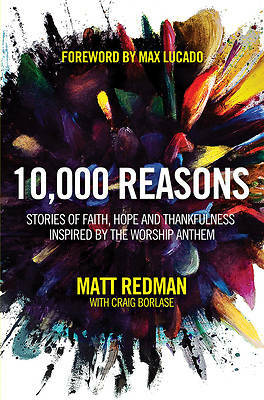 "10,000 Reasons" reveals the stories beyond the well-known church anthem, fusing global worship leader Matt Redman's own encounters of God with those from believers throughout the ages. In just four years, "10,000 Reasons" has become one of the church's most popular modern worship anthems in times of triumph as well as trial. In this book, global worship leader Matt Redman connects the dots between singing the song and living the life. In addition to sharing details behind the song's creation, this book takes readers beyond the song. Matt explores the influences and experiences that have taught him how to trust God in all situations from his own personal trials to stories of hymn writers like John Wesley as well from current and ancient heroes of our faith.